ABSOLUTELY SPOTLESS CRAFTSMAN STYLE STONE AND CONCRETE SIDING RANCH OVER BASEMENT home w/ 3 CAR GARAGE will excite your senses! 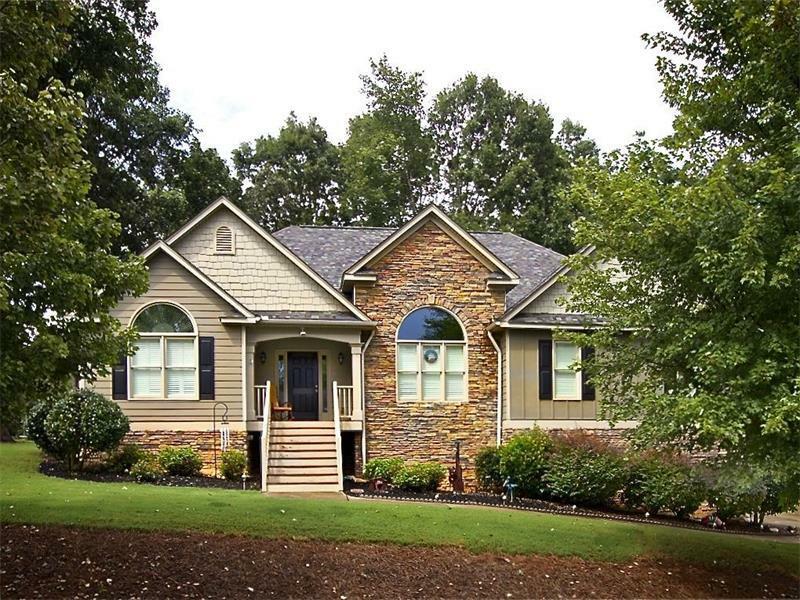 This home is located near Canton & Cartersville, great shopping, dining and all the FUN of N. Georgia, including Lake Allatoona! Glowing Hardwood Floors in living, dining, kitchen and hall. LARGE MASTER BEDROOM has trey ceilings, ceiling fan, master bath is LARGE w/ double vanities, garden tub and separate shower! The basement has partially finished office area, shop and bath stub ready for more expansion. Fenced area, NEW ROOF, fresh paint!